As conventional cars use gasoline stations, FCV use hydrogen stations. 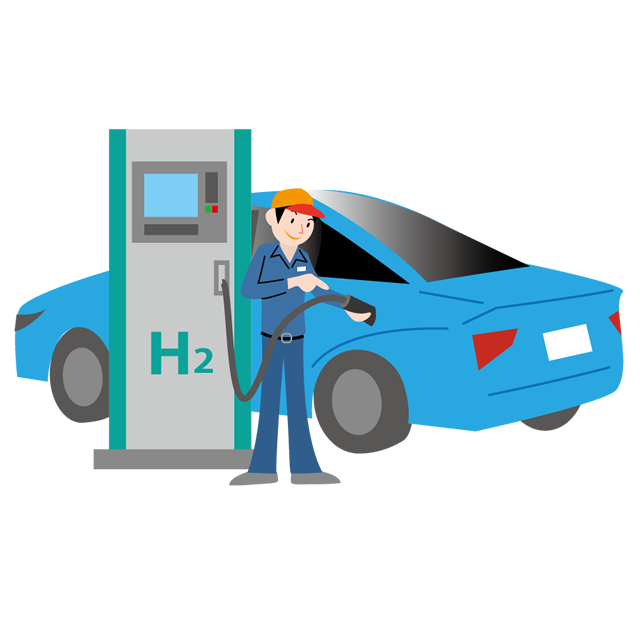 What is a hydrogen station? 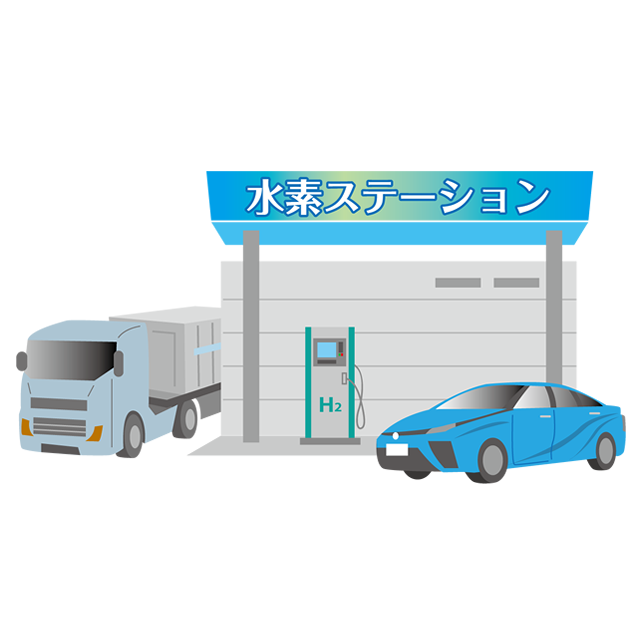 A hydrogen station consists of a dispenser, a hydrogen tank, and a compressor. There are different types of hydrogen stations in operation. 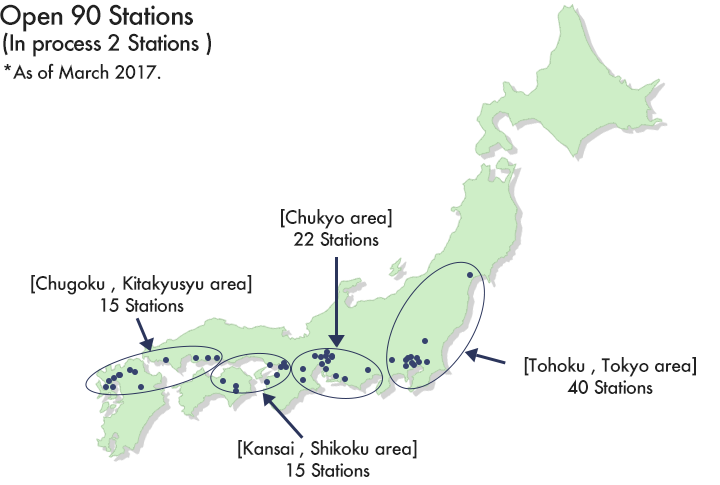 Through the collaboration between public and private sectors, nearly 100 Hydrogen stations are planned for installation in 4 major metropolitan areas (Tokyo metropolitan area, Chukyo area, Kansai area, and northern Kyushu area) within 2016. 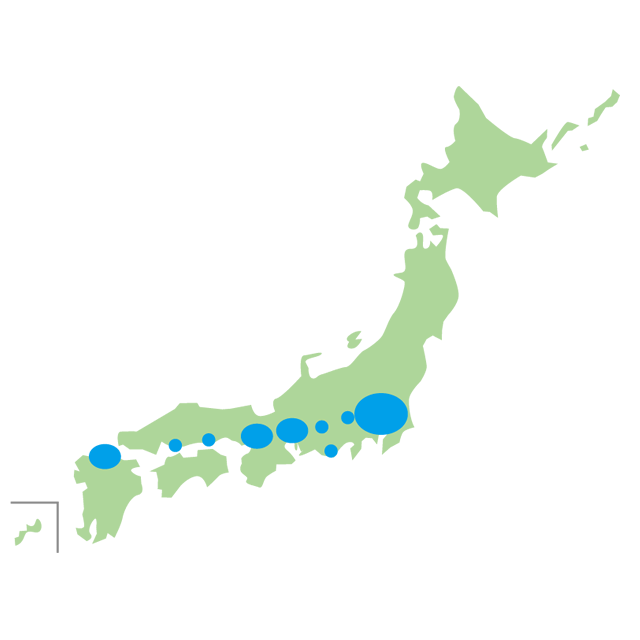 The goal is to increase the number of hydrogen stations to 160 by 2020, and 320 by 2025. A sufficient number of hydrogen stations will be available by the second half of 2020s in accordance with the number of FCVs on the road (demand). By 2020, around 100 hydrogen stations (in smaller comparative scale) will be renewable energy based. Various safety features can be found in a hydrogen station.